Kicking it off with Ka'u High School! Last month, the TAP team headed over to Ka’u on the Big Island. 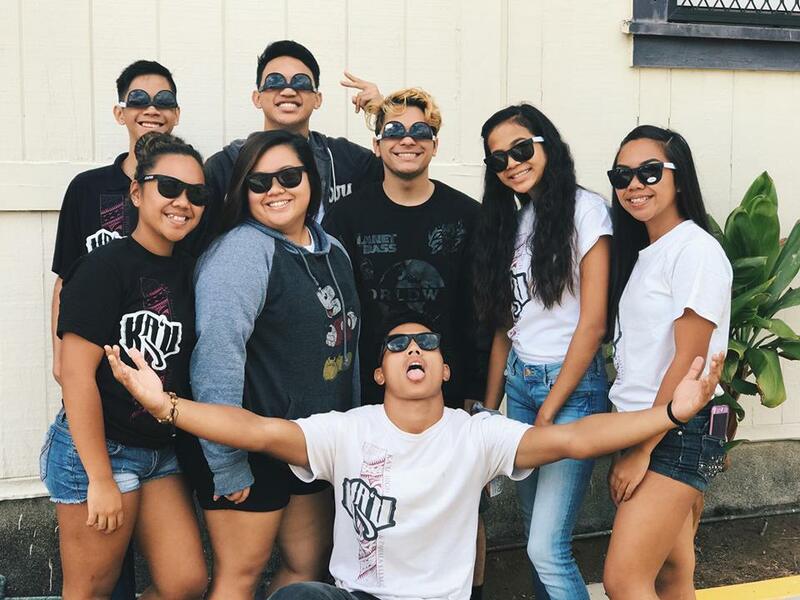 Over the span of the three days we were at Ka’u High School and Pahala Intermediate, we were able to see the entire freshman class, the majority of sophomores, juniors, and seniors, as well as a number of middle schoolers too. Safe to say, it was a solid trip. Being my first off island trip with TAP, I was stoked to be able to see how other communities on the outer islands responded to the topic of teen dating violence. The first two days we were set up in Dr. Miyashiro’s classroom (side note: she’s amazing). Disclaimer, the TAP team officially admits now that we are city people after being kept awake all night by what seemed like a couple hundred vocal roosters, an angry goat, and a rouge mouse. A number of students who’d been in earlier presentations asked their other teachers to come back and sit in on more presentations. It was really cool seeing how the more classes the students sat in on, the more they felt comfortable and confident in their knowledge of TDV and IPV (it helped that they knew some of the answers tooJ). I got to shout out this one student who gave one of the best answers we’ve ever heard. The question was, “Where do we learn gender roles from”. Students were saying answers like T.V., music, internet, etc. (all very true) and then this one student throws out “history books”. After Causha and I exchanged a very excited look because that’s like a really good answer. When prompted to say more, he talked about how history is always told from a male’s perspective. The class joined in and we ended up having a really amazing discussion. Some college level discussions were happening and the TAP team was blown away. It just affirms the fact that you give teens a platform to speak about issues and I promise you they’ll impress you every time. Overall, the need for community involvement in combatting teen dating violence is very real no matter where we go. TAP is so excited to be able to go back to Ka’u soon. Mahalo to everyone in Ka’u for welcoming us. Everyone except those stankin’ chickens and that salty goat. The Men's March Against Violence was lit in 2017!